When a child is struggling developmentally or at school, it can be a difficult and overwhelming journey for families. Dr Frow’s passion is to help families understand what is happening for their child, and to help them find the best interventions and support possible. Dr Frow’s educational background includes a Doctorate of Clinical Neuropsychology from the University of Sydney. I have a B.A. (hons) in Psychology from QLD University. 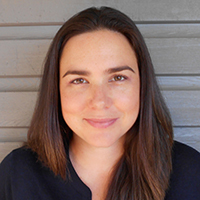 Before starting here at Developmental Paediatrics, Dr Frow worked as a child neuropsychologist on the neurology team at Sydney Children’s Hospital, and at Sydney Neurology. She currently divide her time between private practice and work as part of a multidisciplinary team at the Kogarah Developmental Assessment Service at St George Hospital in the assessment of neurodevelopmental disorders. She is also an occasional lecturer at the University of Wollongong. Her particular areas of interest include Autism Spectrum Disorder, Developmental Delay and Intellectual Disability, Attention Deficit Hyperactivity Disorder, Epilepsy and other neurological disorders.